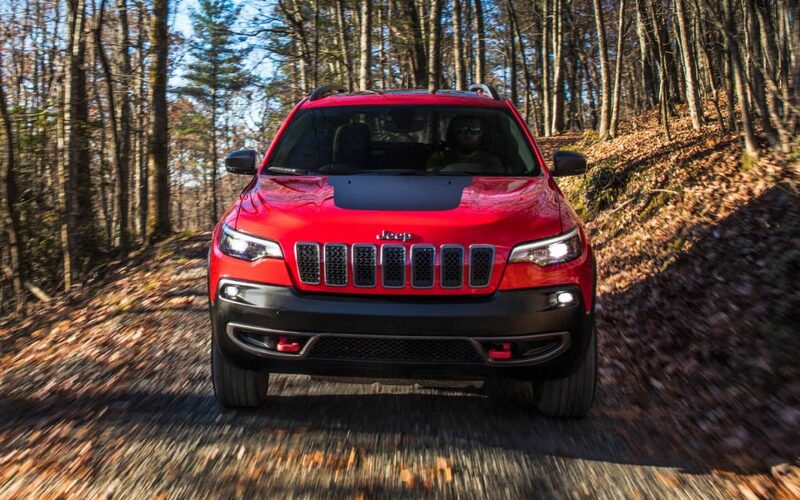 When you need a vehicle that is capable of providing you with more power, style and class, the Cherokee is an outstanding choice that will have you loving every moment of your next drive. Explore the outstanding sound system, incredible handling and amazing craftsmanship that goes into the creation of this remarkable machine. This vehicle will get you where you need to go with less effort and more control than you ever thought possible. Come down to Pollard Jeep serving Longmont Boulder Thornton Denver residents to discover all of the features available to you. Lots of small improvements have been made to the design and function of the vehicle. The Daytime Running Lights have been improved with better lighting performance and increased safety and security. The lights are also wider now and are integrated into the sweeping style of the vehicle for a new and refreshing exterior style. The rear design has also been improved upon to give you an eye-catching and distinctive aura as you drive down the road. The vehicle has been equipped with a new hands-free power liftgate to make it easier to load and unload your vehicle as well. Come down and explore everything from groceries to sports equipment and discover how this vehicle is designed to help you get more done. With signature styling features and a more aerodynamic design, you’re sure to get everything you need from this incredible new vehicle. Give our dealership a call to get a great deal. 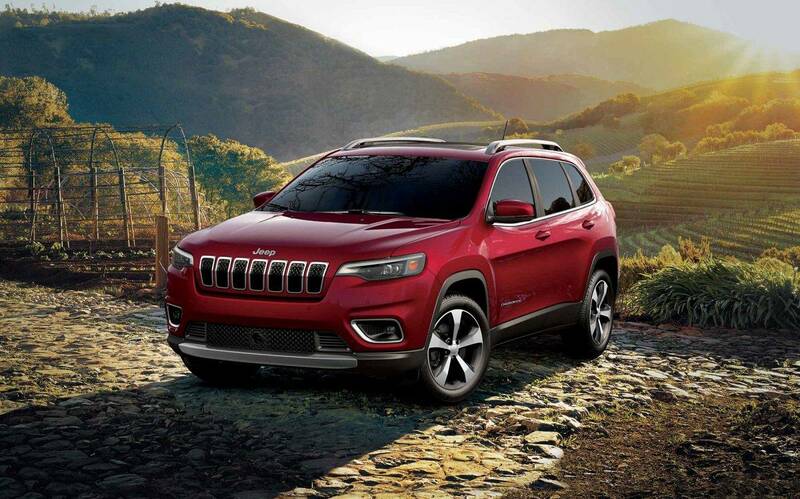 Come down to Pollard Jeep serving Longmont Boulder Thornton Denver residents to discover all of the features available to you. Enjoy the premium Nappa leather-trimmed seating that helps to get you in the mood for your next adventure. The vehicle also comes with state-of-the-art technology that is designed to give you a whole new layer of reliability. You’ll also get more options for storage to ensure there is a place for everything in your life. An optional leather-wrapped and heated steering wheel gives you a bit more control of your life and a smoother driving experience as well. 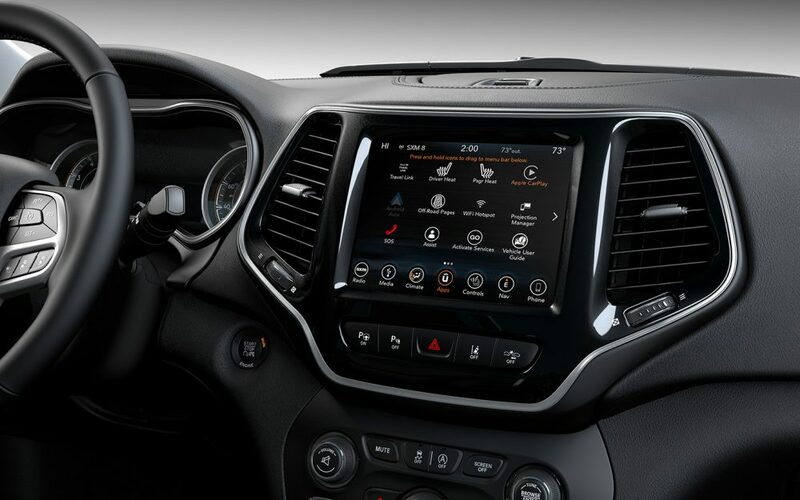 The vehicle comes with the latest technology including the option of getting the Uconnect 4 or 4C system with a 7-inch or 8.4-inch touchscreen to manage your apps. A personalized instrument cluster makes it easier to get the exact dials and performance stats that you need. Trust our dealership near Longmont Colorado to get you an incredible price and great deals. 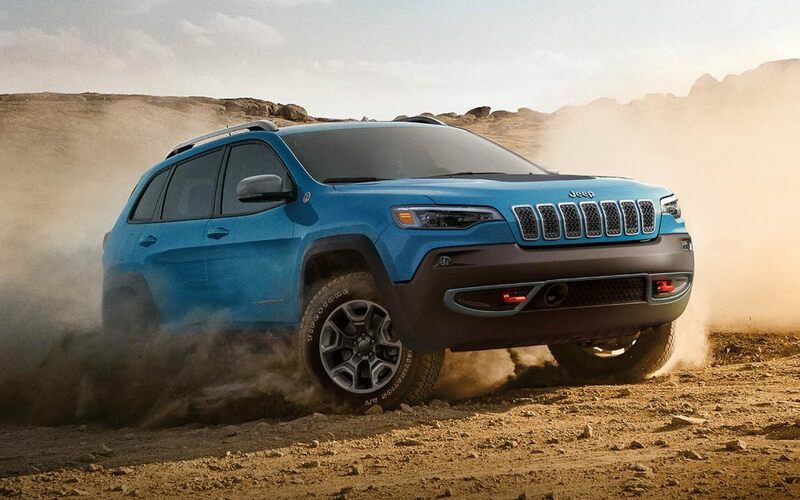 When it comes to capability, you can’t beat the power of this incredible vehicle. Give our dealership a call to find the best rates and options that are available for you. This vehicle has great traction capabilities that are further improved upon with the Active Drive 4×4 system. 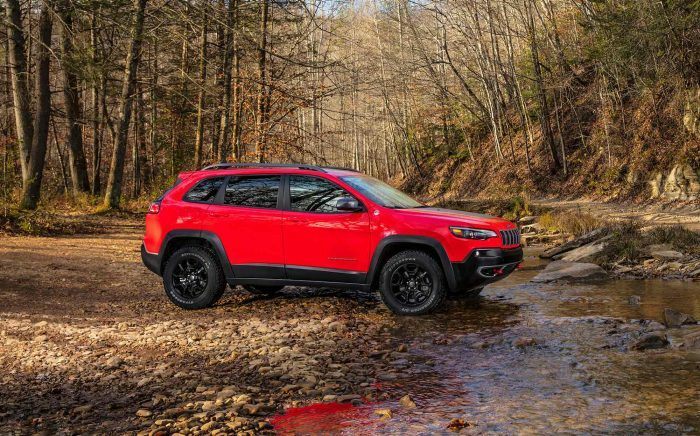 The vehicle also has incredible water fording capabilities and exceptional articulation to help you conquer any terrain that confronts you. With an improved ground clearance, you’ll have more faith in your vehicle to get you to and from your destination more safely. An approach angle of 29.9 degrees, breakover angle of 22.9 degrees and departure angle of 32.2 degrees means an improved ability to navigate rocks, fallen trees and other obstacles in your path. Trust our dealership near Longmont Colorado to get you an incredible price and great deals. When it comes to safety and security features, this vehicle is well-equipped to get you to your destination easily and securely. The vehicle comes with smart features like blind spot monitoring to help ensure you don’t have an avoidable collision. Lane departure warning can also help you stay in your lane more effectively. Full-speed forward collision warning systems are designed to ensure you stay protected and capable of stopping more surely in the event of an imminent collision. You’ll also get rear cross-path detection and a host of traditional safety features that are designed to keep you protected on the road. Give our dealership a call to find out about all of your options for taking a vehicle home today. We want to help you get a great deal on your vehicle, but you’ll need to contact us to find out what kind of quotes and specials we currently have available. Get the information on this vehicle that you need to find out if it will provide you with the kind of stability and capability you need. We will work with you to help you get a great financing package so that you can take this vehicle home today. Come down to Pollard Jeep serving Longmont Boulder Thornton Denver residents to discover all of the features available to you. When you give us a call, stop by or go online, we can set you up with a test drive so that you can discover if this vehicle is the right one for your situation. Let us help you get the best deal on a new vehicle, and you will be glad you trusted our dealership for a reliable and secure off-road vehicle. We are waiting to help you get into the vehicle of your choice. Trust our dealership near Longmont Colorado to get you an incredible price and great deals.